Is your home starting to feel kind of slow? Inefficient? Dumb? 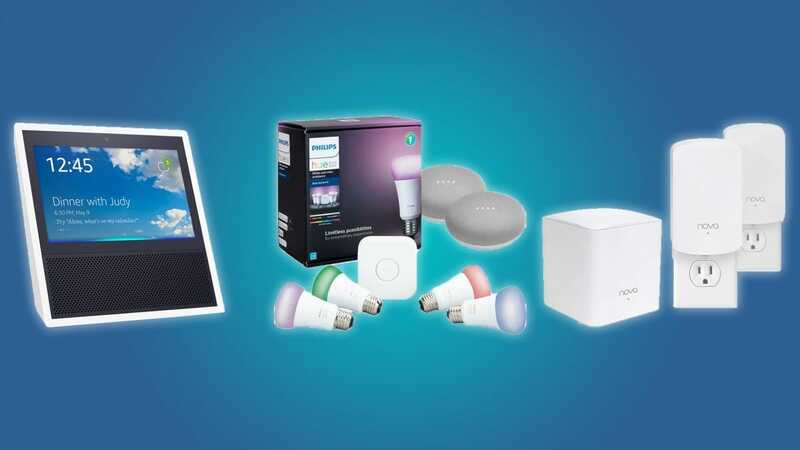 Today’s a great day to upgrade your home with some heavily discounted smart home products. Right now, there are some great smart home deals on Woot, Amazon, and Best Buy. Our favorite smart home deal (by far) is the Philips Hue set with two Google Home Minis for just $170. With this set, you can easily automate your lights, and kickstart your smart home adventure. Of course, if you’d prefer something with a screen, you could grab the 1st generation Echo Show for just $100. And if you want to upgrade your router to a whole-home system, you could buy the Tenda Nova mesh Wi-Fi kit for just $100. Of course, smart home products aren’t the only thing on sale today. HP is running a huge deal on laptops and accessories, and Hard Cider Labs is selling a wireless charging mat (in lieu of the now-dead AirPower) for just $60. Need a cheap laptop, mesh Wi-Fi system, or storage solution? We’ve got the deals. Grab a cheap new phone, or find a stand-in for Apple AirPower. Grab some great games at a discount, or buy the ubiquitous Garfield Kart for just $0.75. Save hundreds on an Echo Show, or a Philips Hue set with two Google Home Minis. Need to make some great coffee, or expand your Funko Pop collection? These deals are pretty decent, but they require a student ID. These deals are pretty great, but they won’t last forever. If anything strikes your fancy, be sure to scoop it up before it’s too late.